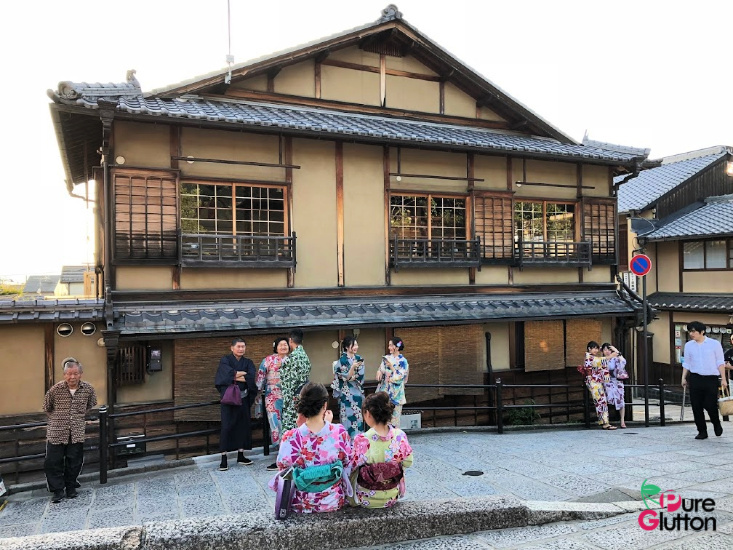 As the former imperial capital of Japan for more than a thousand years, Kyoto is a beautiful and interesting city in the Kansai region. 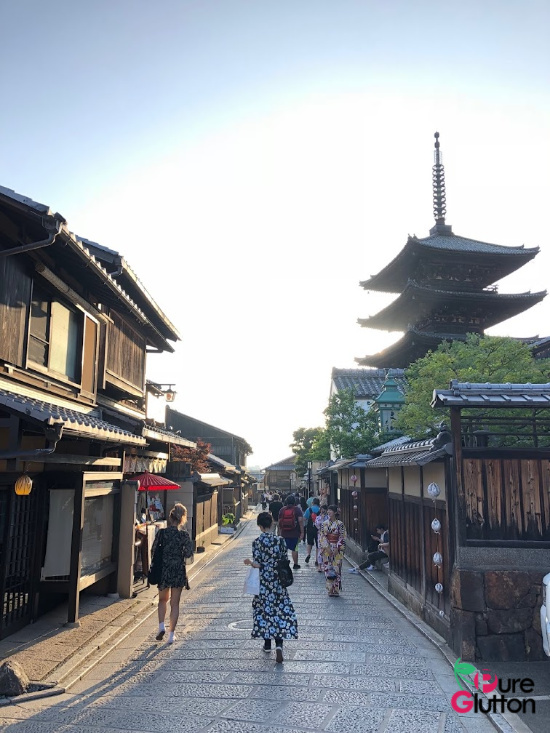 As it was spared much bombing during World War II, much of the city’s ancient architectural sites and pre-war buildings are still standing today. 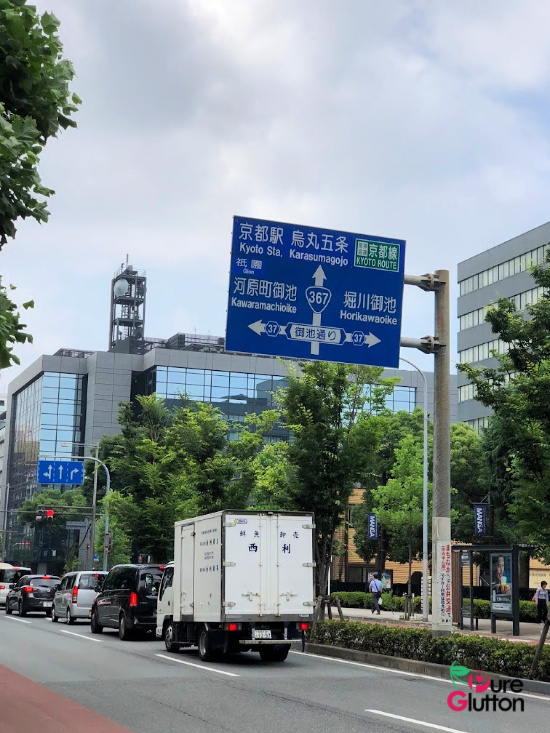 Interestingly, Kyoto was removed from the atomic bombing list and replaced with Nagasaki, hence did not suffer the devastation that ended the war. 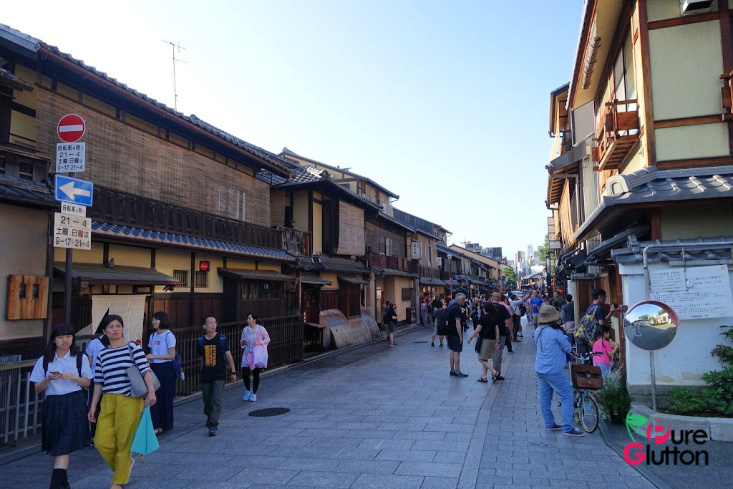 Having been to this city twice (so far), Kyoto holds a special spot for me. 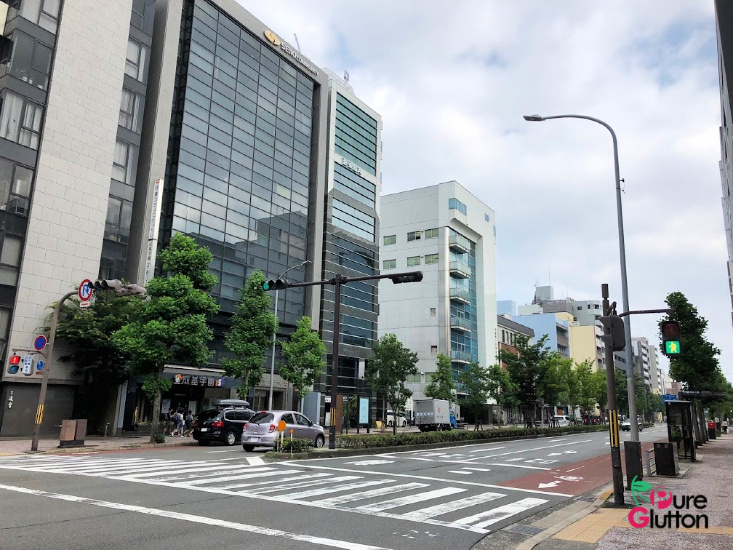 The slower pace of life, the quaint old buildings on narrow streets and the general air of unhurried life are what make the city and its suburban areas so appealing. 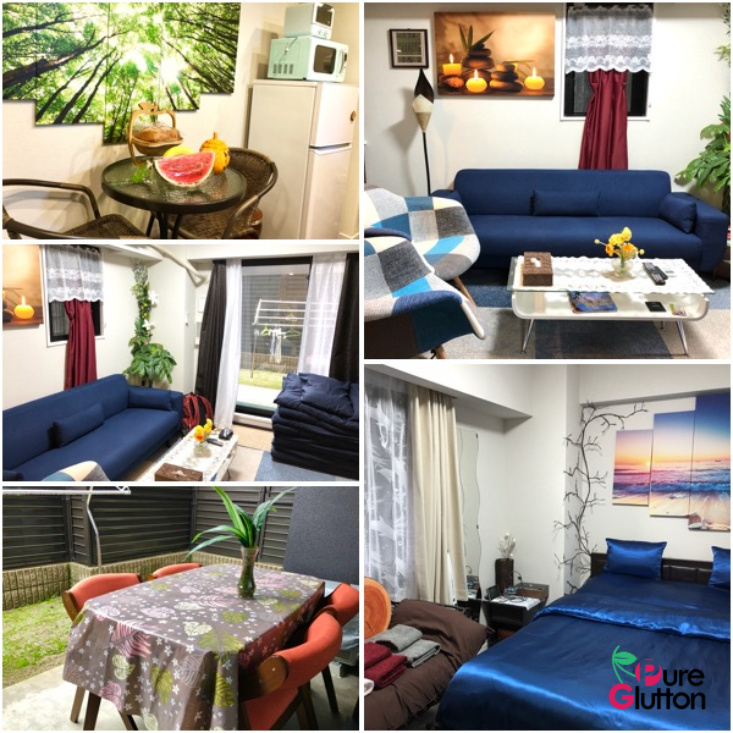 In our recent visit, we chose to stay in the city for convenience and ease of connection. 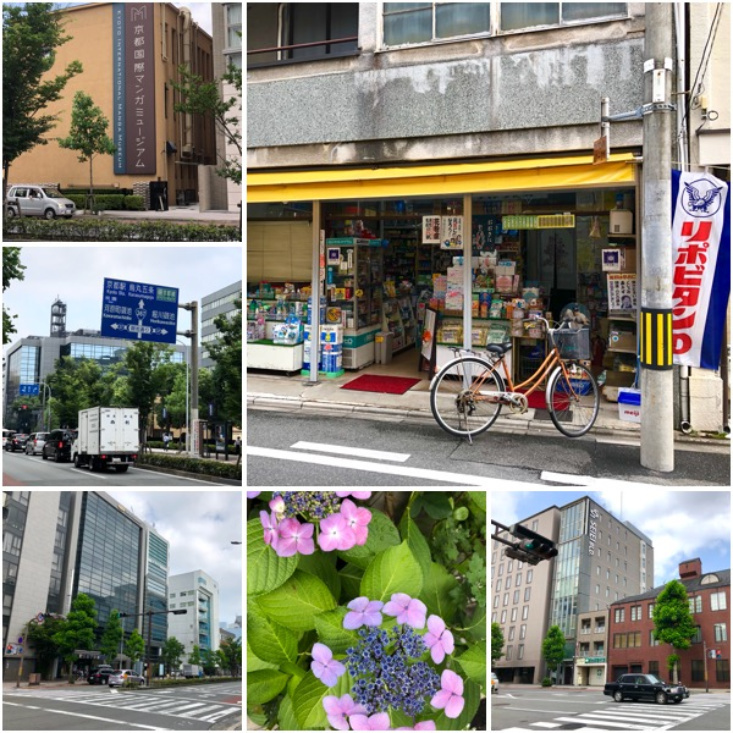 Our rented apartment was small (most apartments in Japan aren’t really big!) but cosy and well-equipped. More importantly, it was within easy walking distance to a train station. 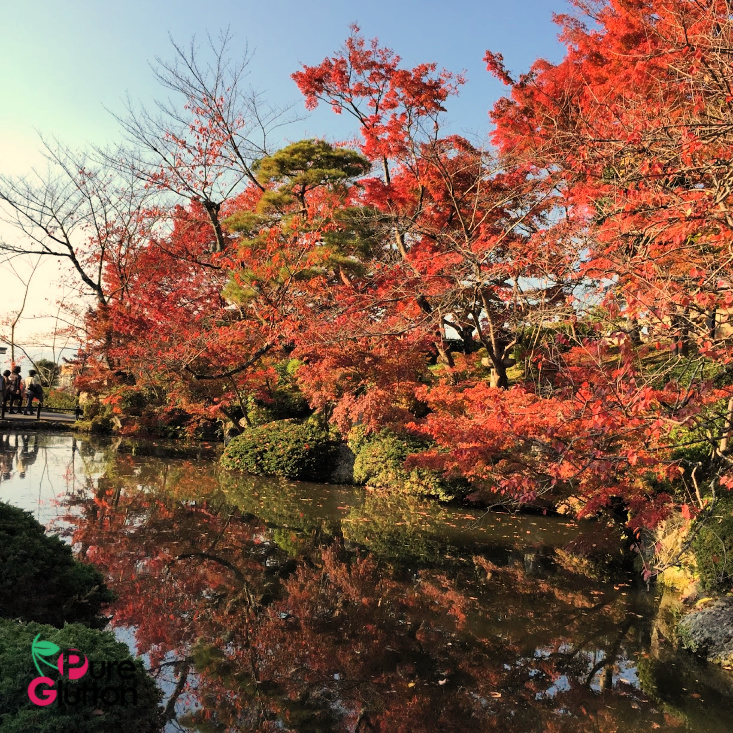 I think Kyoto is nice in any season – I have been there in mid-spring as well as during fall and my favourite is the fall season. Go in November before the weather turns very cold and when the trees are at their glorious red and yellow. 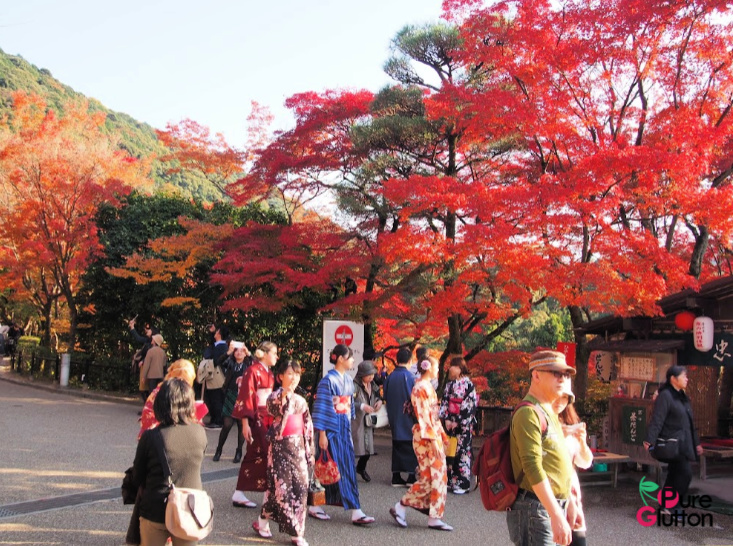 It’s usually sunny as well during autumn and the red trees against a brilliant blue sky is truly a sight to behold! 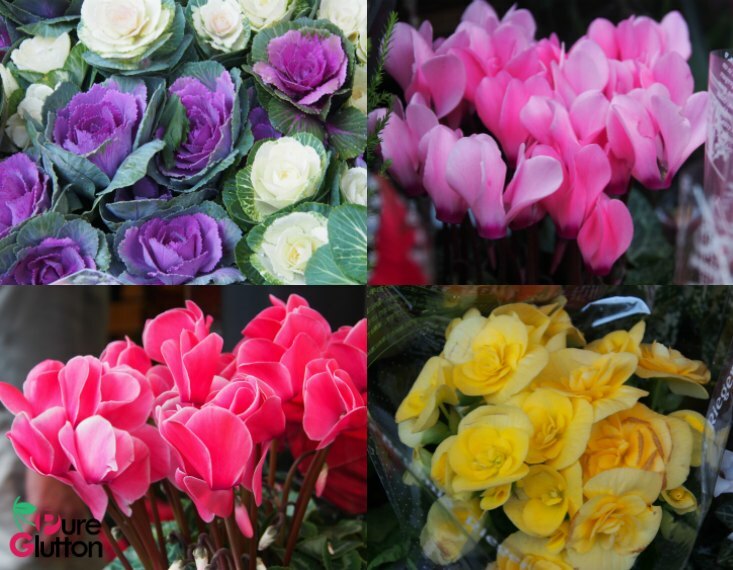 Glorious blooms everywhere during spring! 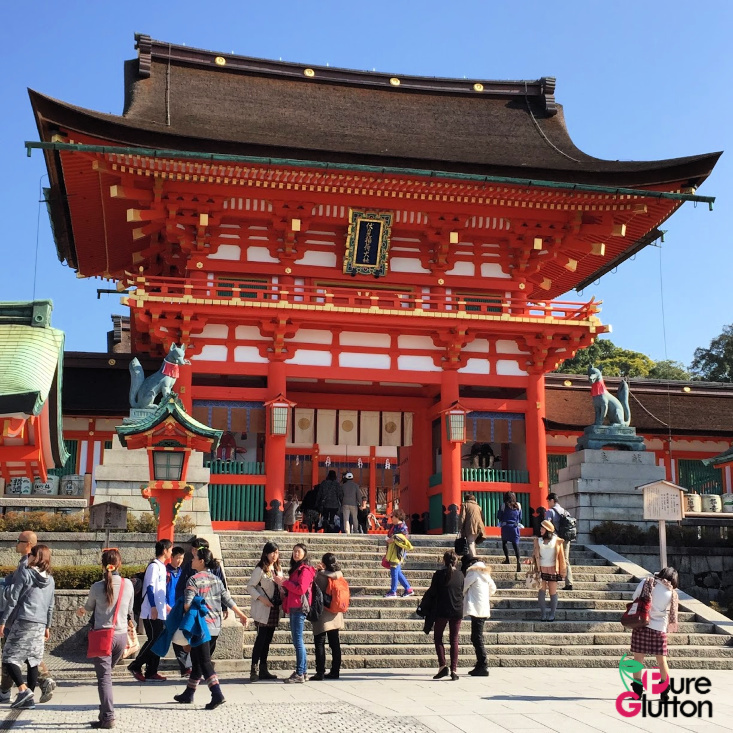 Kyoto is home to hundreds of Shinto shrines and the most famous of them all is Fushimi Inari-Taisha. 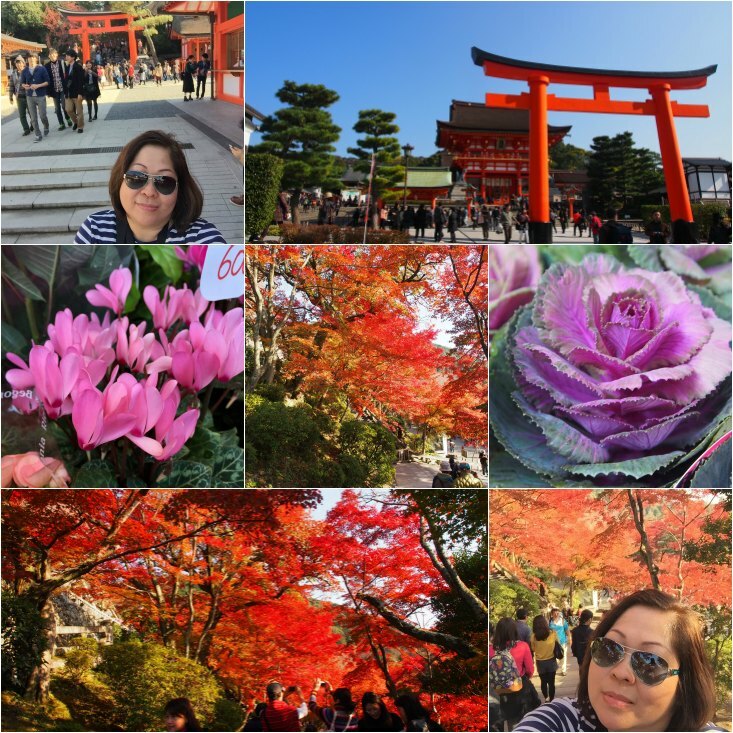 I visited on a glorious autumn day, marveling at the bright reds and golds of the foliage all around the area. 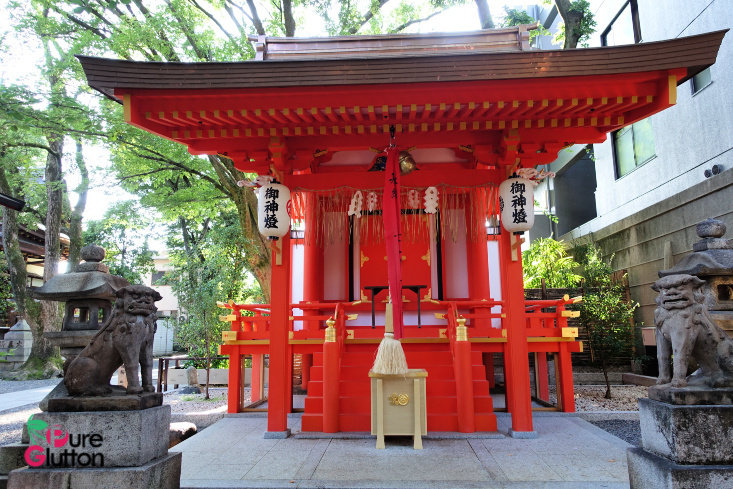 This is said to be the head shrine of the Rice God Inari and is also worshipped by merchants and manufacturers as the patron of business. The trail of torii gates spans 4km from the base (these gates are donated by Japanese businesses) and takes about 2 hours to walk up. 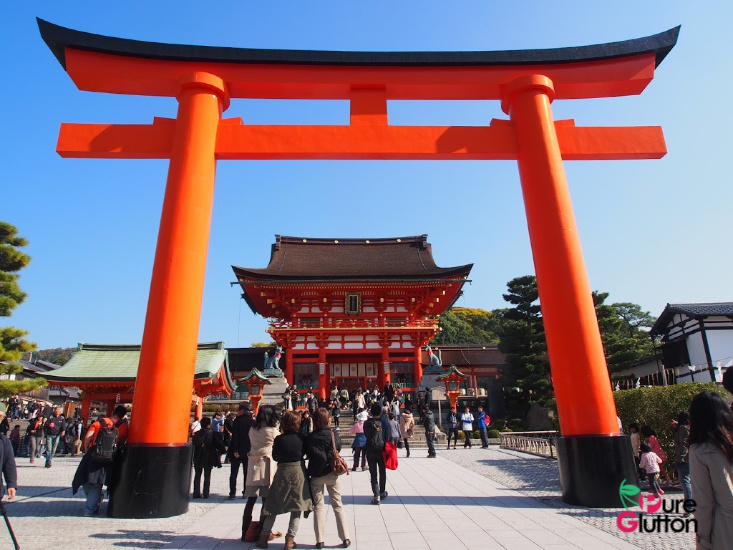 Along the main path, there are about 1,000 torii gates! 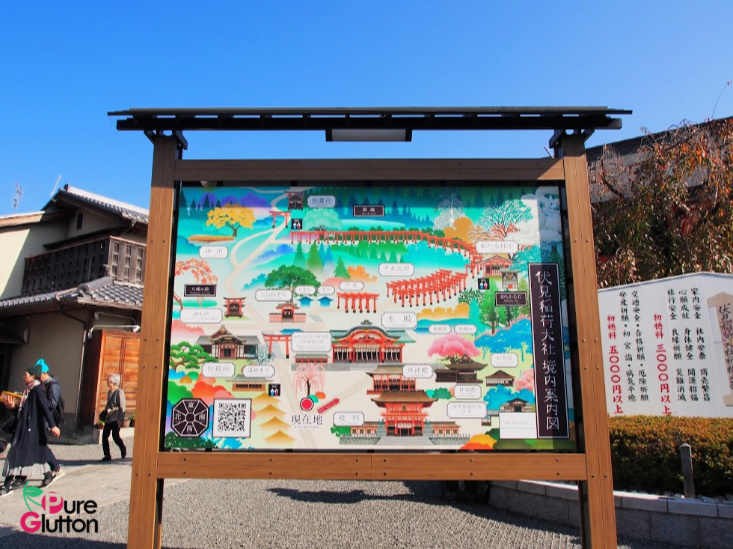 This is probably the most-visited shrine in Kyoto! It’s a long climb to the top! 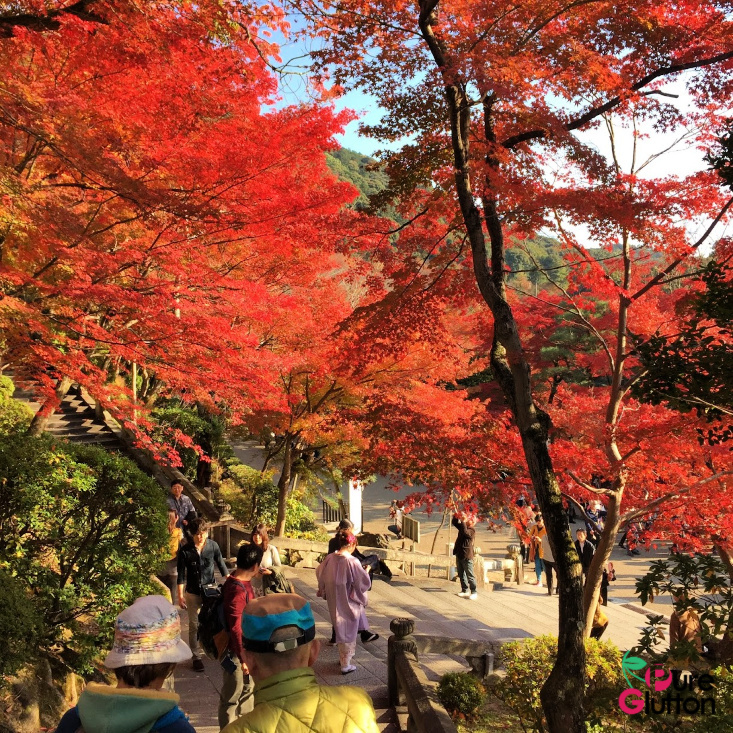 Autumn is magnificent in Kyoto! 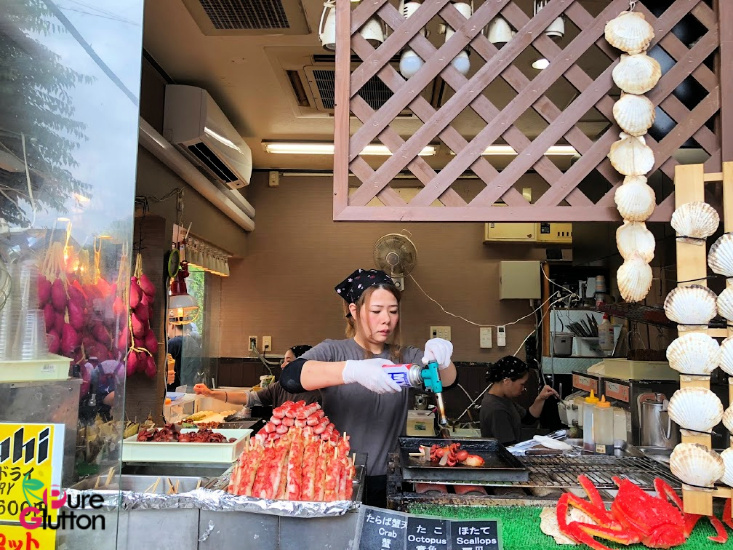 There are many food and souvenir shops along the path going up to the shrine. 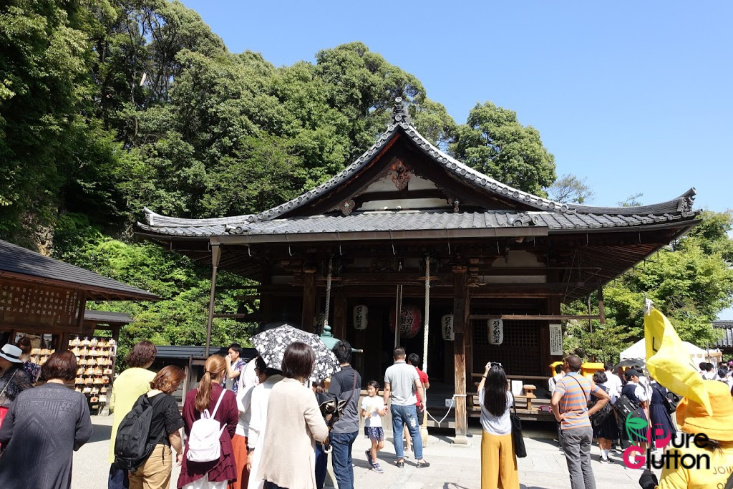 To get to Fishimi Inari-taisha, take the Nara Line from Kyoto Station, get off at Inari Station (a ride of about 5 minutes only) and the shrine is just a short walk away from the station. Just follow the crowd and you’ll see it. 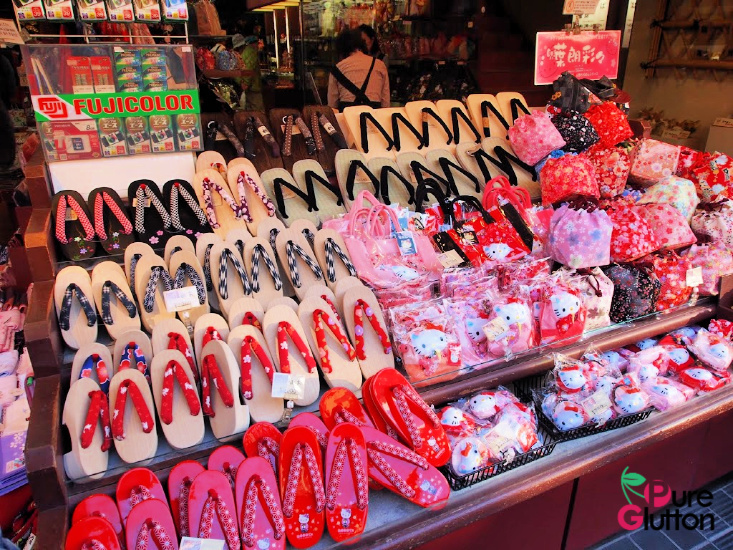 Lots of shopping around the Shrine area too! 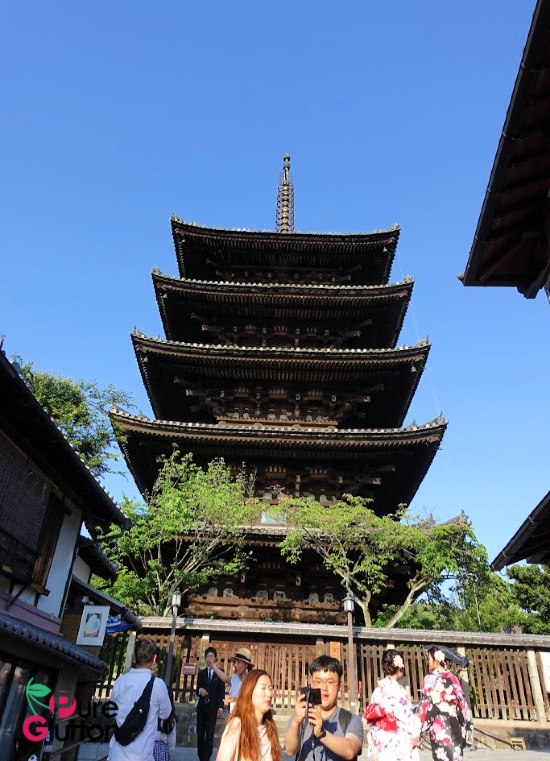 This famous temple started off as villa in 1397 and was later converted into a Zen temple. Over the centuries, the temple was burned down several times and rebuilt. The present pavilion structure was rebuilt in 1955, rising 3 storeys high and 40ft into the sky. 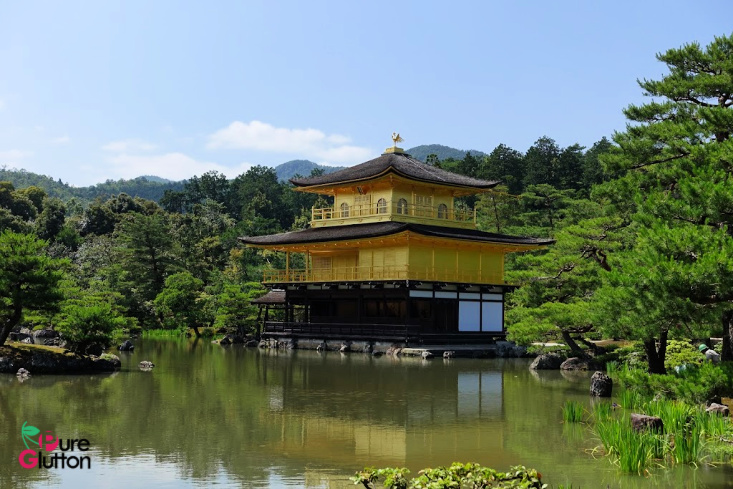 It sits on a pond and my first view of this iconic golden temple from across the water was simply breathtaking. 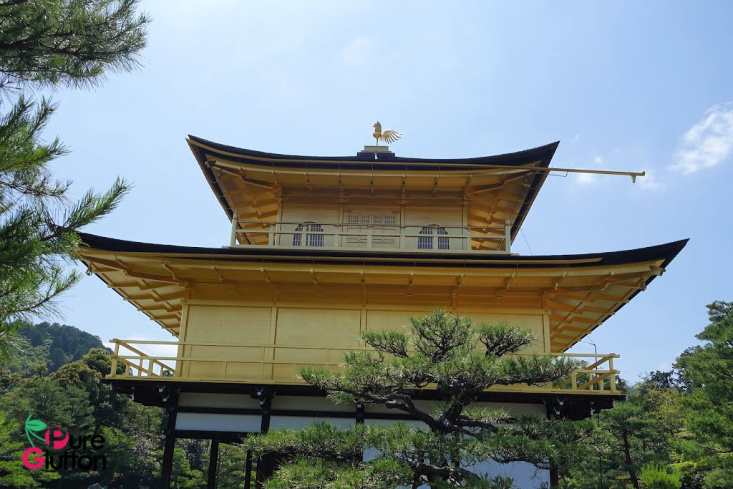 It wasn’t a particularly sunny day when I visited, but even so, the weak sunshine lit up the structure, thanks to the reflections from the Japanese lacquer and gold-leaf coating covering the pavilion. The pavilion houses sacred Buddha relics (Buddha’s ashes) and there is a sense of calm and serenity surrounding the structure. 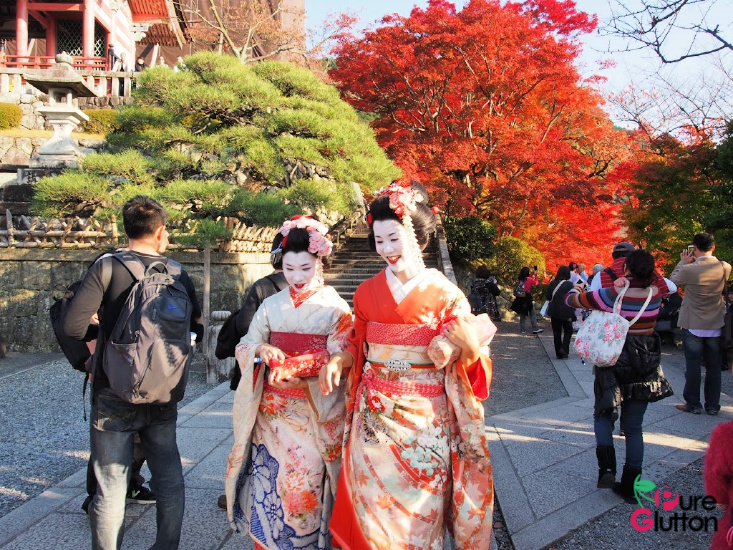 All around the pavilion is a Japanese strolling garden with stalls selling drinks, snacks and souvenirs. I like the refreshing greenery and fresh air strolling in the landscaped garden. 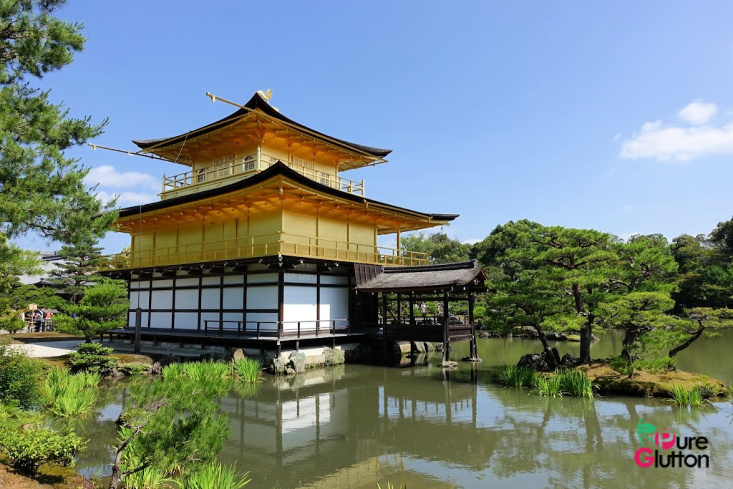 Not far from Kinkaku-ji, just a short walk away you will reach the scenic grounds of Ryoanji-ji, a 15th century temple set in its famous zen rock garden. The Ryōan-ji garden is considered one of the finest surviving examples of kare-sansui (“dry landscape”). Many may not understand this concept – it is a refined type of Japanese Zen temple garden design generally featuring distinctive larger rock formations arranged amidst small smooth pebbles (carefully selected polished river rocks) raked into linear patterns that facilitate meditation. 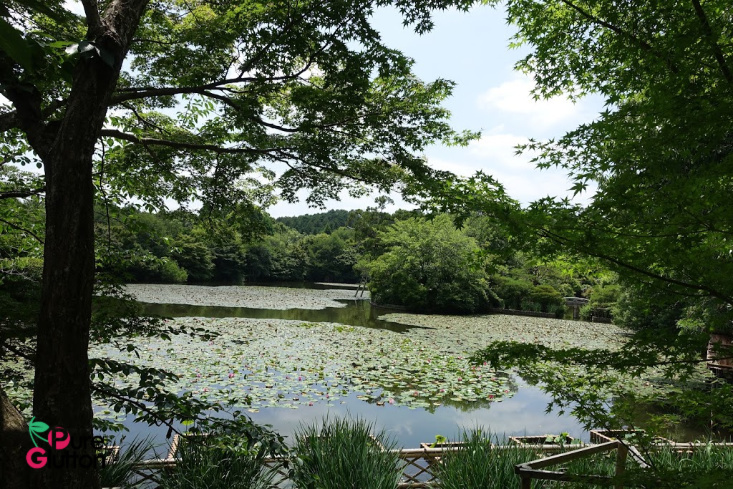 The garden is a rectangle of 248 square meters (2,670 sq ft). Placed on the bed of smooth pebbles are 15 stones of different sizes, carefully composed in 5 groups; one group of 5 stones, two groups of 3 and two groups of 2 stones. The only vegetation in the garden is some moss around the stones. It’s interesting to know that the stones are placed in such a way that the entire composition cannot be seen at once from the veranda. 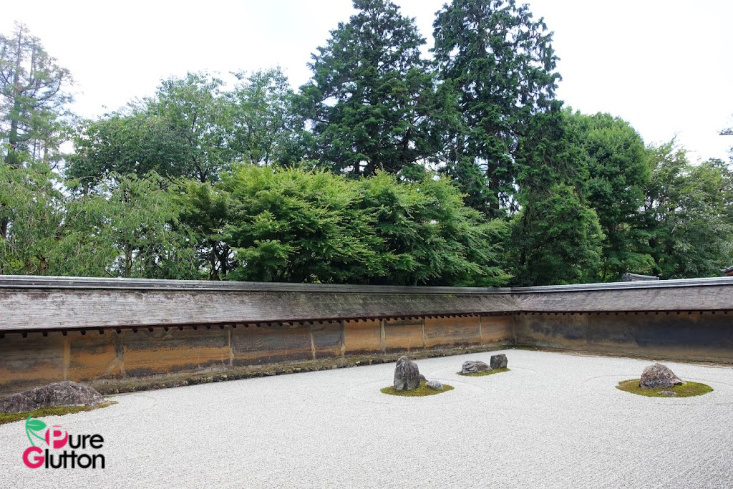 They are also arranged so that when looking at the garden from any angle (other than from above) only 14 of the boulders are visible at one time. That is entirely correct – I sat at the veranda and no matter which angle I viewed it, maximum was only 14 stones could be seen. It is traditionally said that only through attaining enlightenment would one be able to view the 15th boulder. 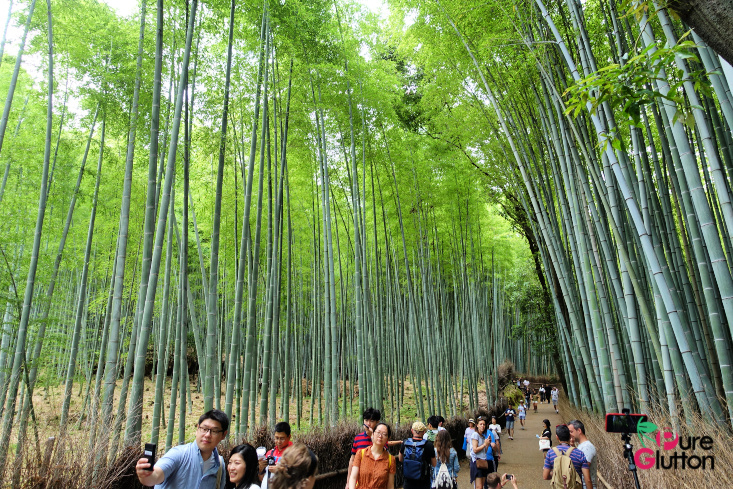 You can’t visit Kyoto without going to the Bamboo Grove in Arashiyama – it’s one of the most popular and iconic sites to explore. I was totally in awe being surrounded by the soaring stalks of bamboo in every direction. 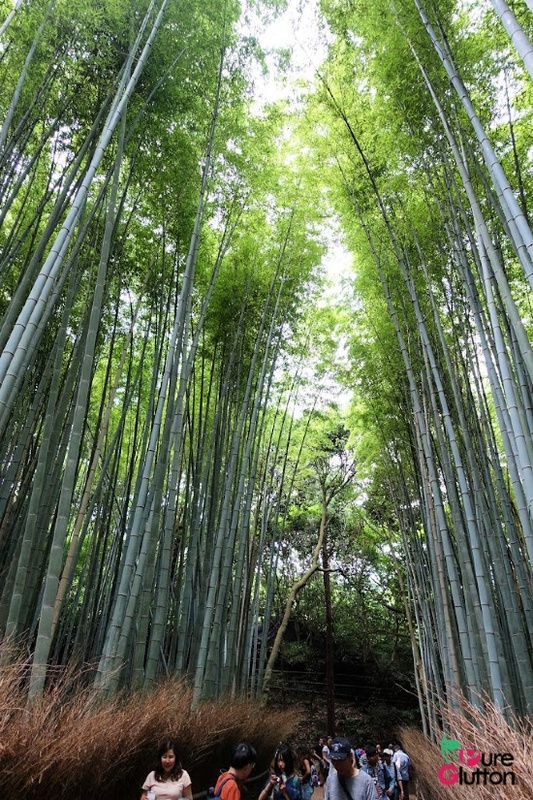 It’s like being cocooned inside a cool green haven with the graceful bamboo trees reaching up to the sky, their leaves fluttering gently in the cool refreshing air. There’s a magical sense of serenity in that ethereal grove. Can you feel the cool refreshing greenness of the place? 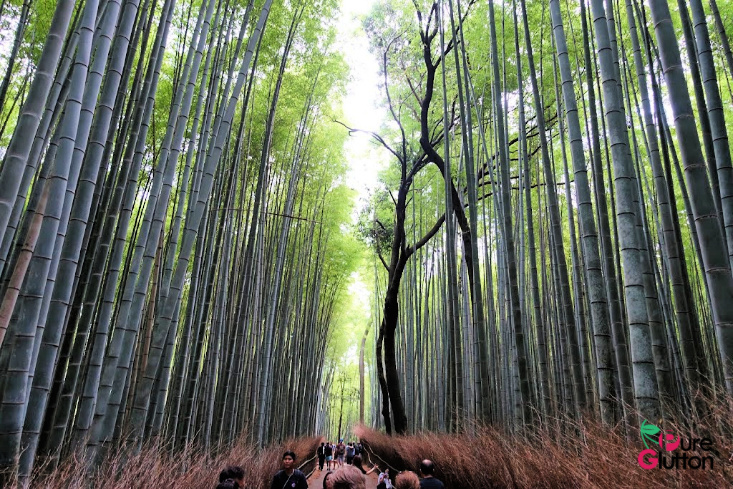 Just a short walk from the Saga-Arashiyama train station, it’s easy to get to the grove. Best to go early in the morning before the crowd comes in – you then get to enjoy some peaceful zen time in the beautiful forest. 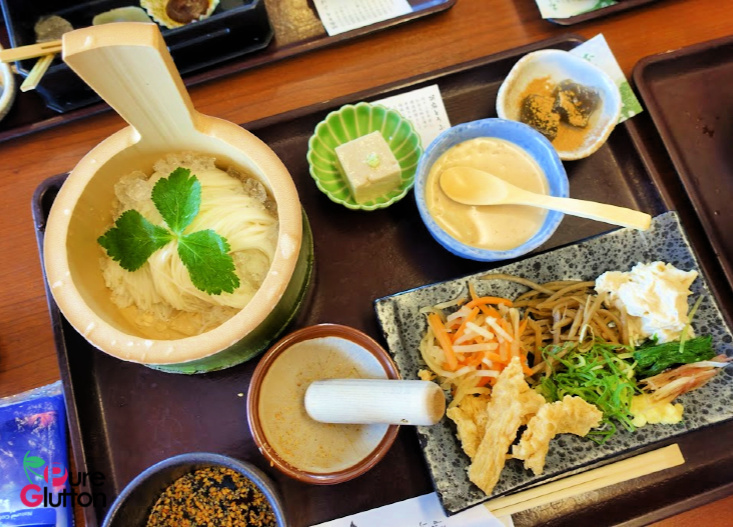 Once you have drunk up enough of that refreshing greenness of the grove, skip over to the nearby eateries where they serve some really great tofu-based cuisine. Everything tasted deliciously light and so healthy! 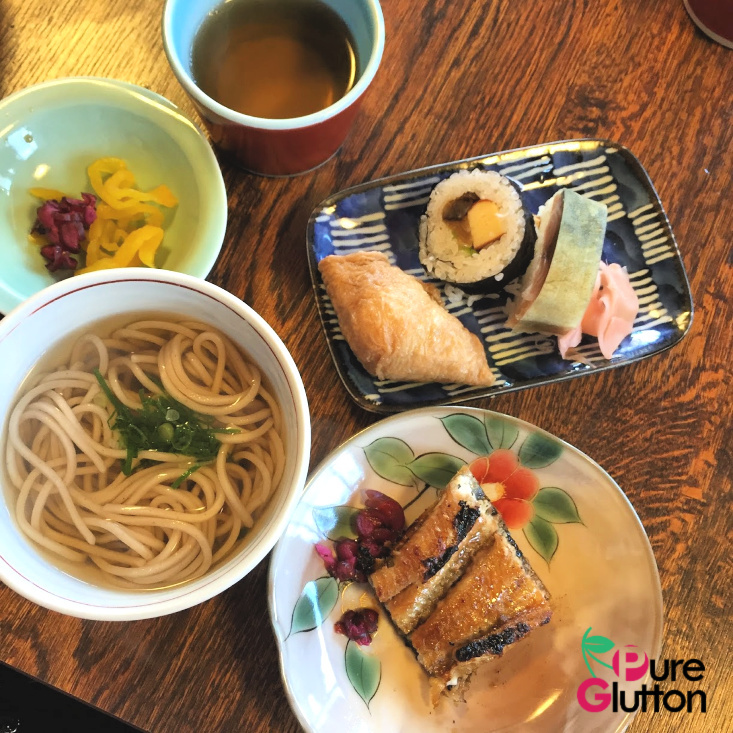 Lots of snacks to munch on, before starting your exploration of the bamboo grove! 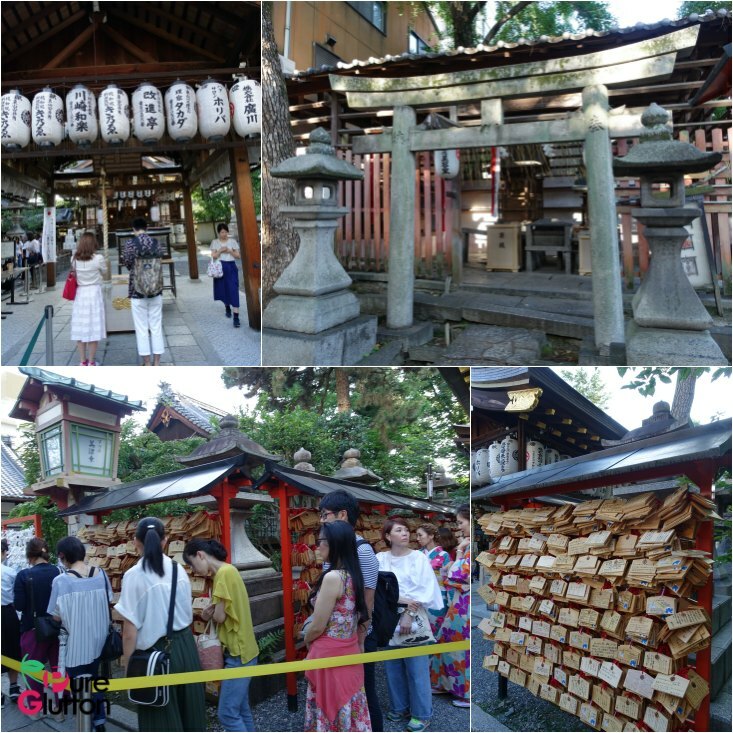 We came across this popular shrine somewhere in the Gion area as we were walking around. 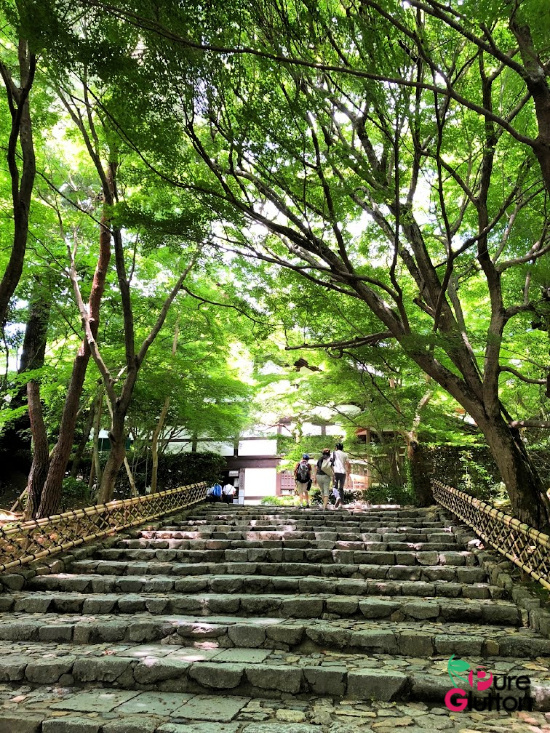 It is one block east from Hanami-koji and you’ll see a stone toori shrine gate which is the entrance to the shrine. We were a bit puzzled with the “power stone” with a hole in the center where we saw people crawling through. Later we found out that by doing that, it’s to help people break the bad connections in life and make good ones. The practice is to first pray at the main sanctuary and then write your wish on a special piece of paper (bought at the shrine). After that, walk through the hole in the stone from the back to the front, with the paper in hand while focusing on your wish. 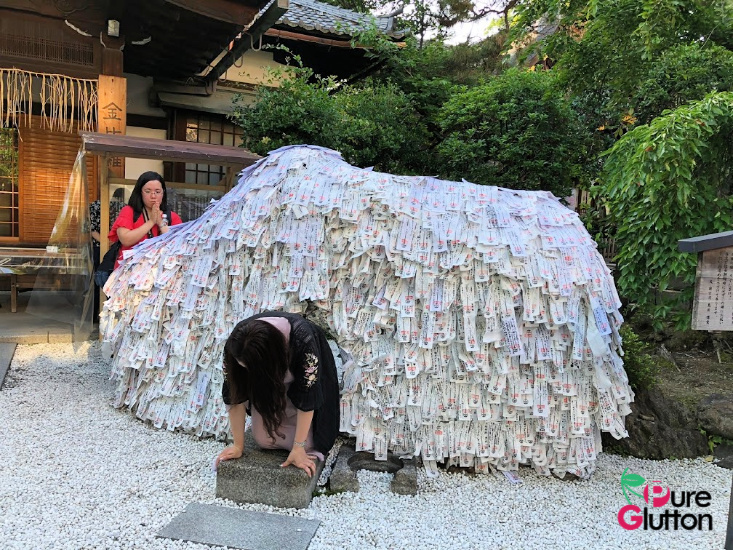 When this has been done, attach the paper wish onto the stone. The stone is also said to help break bad habits like gambling, drinking and smoking. 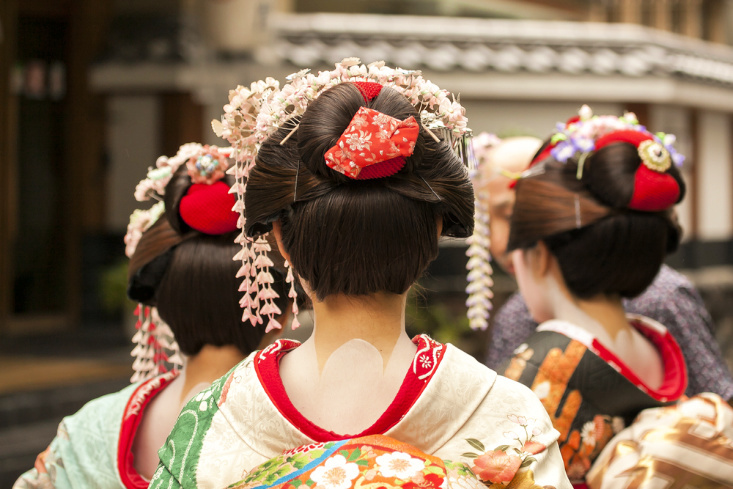 Gion is Kyoto’s most famous geisha district and a great place to explore. 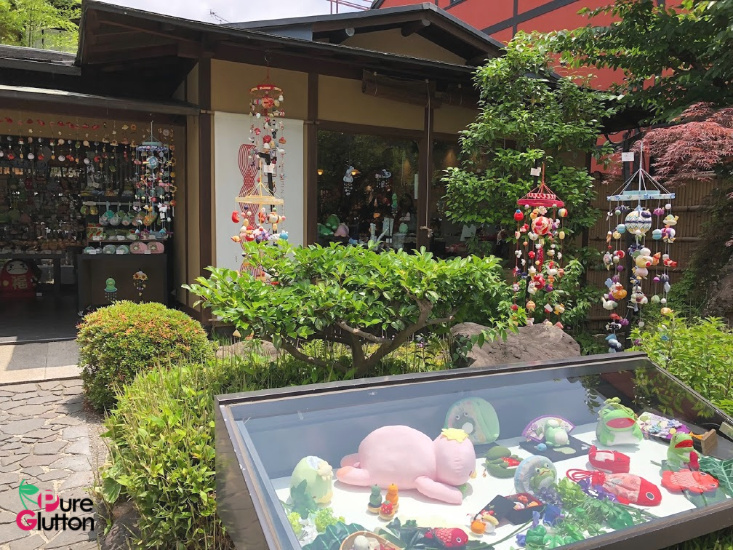 This charming area, at the heart of Kyoto, is filled with shops, restaurants, art galleries and ochayas (traditional Japanese teahouses) and also kabuki theatres. 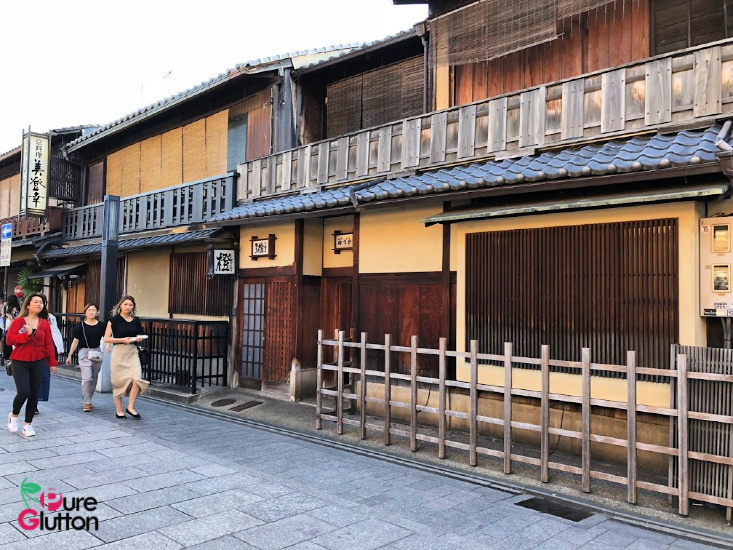 Many of the old buildings (traditional wooden machiya merchant houses) have been restored and maintained, so strolling around in Gion with its old-world atmosphere certainly evokes a great sense of being in ancient Japan. 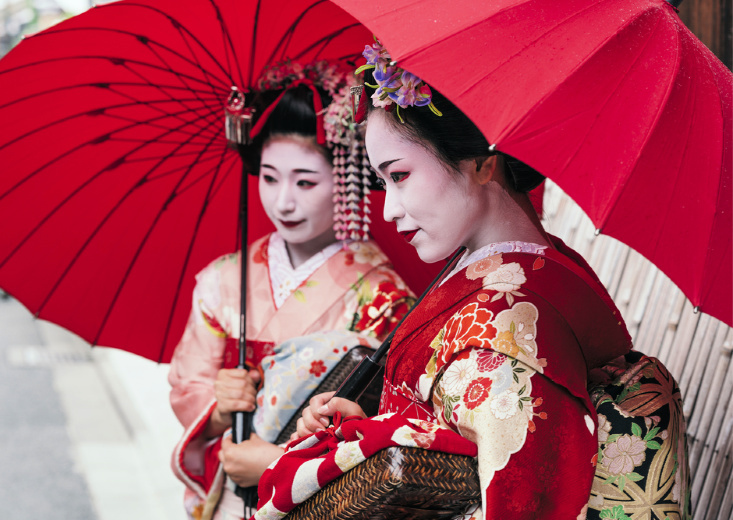 If you are lucky, you can actually see geishas walking around as Gion is famous as a traditional entertainment area.